Get the most of your workout – 5 tips! The best way to guarantee that you’ll meet your fitness and weight loss goals is to work one-on-one with a qualified fitness professional. I’ll hold you accountable with your workouts and will share techniques and strategies that will expedite your results. Call or email today to get started on a program that will take the guesswork out of fitness and will set your results on fire. Let’s do this! 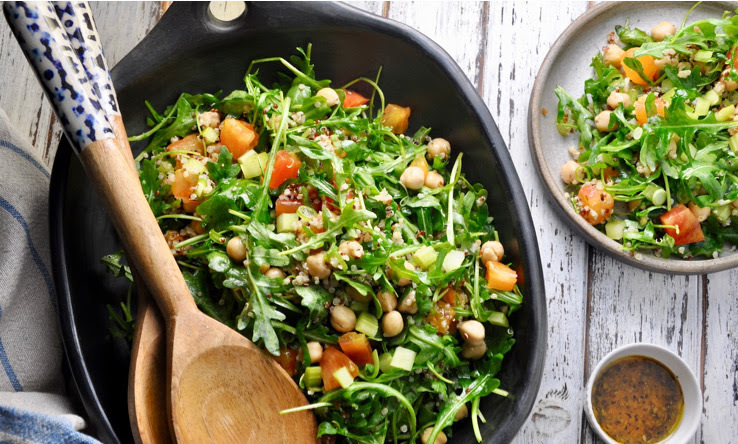 ​Here’s a salad recipe that serves as an entire meal. It’s filled with fresh ingredients that increase your fiber count for the day. The simple dressing tastes fantastic. Add a grilled chicken breast to increase the protein in the dish and enjoy leftover for lunch the next day. Enjoy!